You can learn more about the Corps of Discovery and their journey at Fort Clatsop National Memorial, the main winter head quarters located 15 miles northeast of the Salt Works. There you can explore the Visitor Center and Museum, tour the fort replica and canoe landing, and enjoy buckskin-clad Park Rangers, bringing to life the Lewis and Clark Expedition. Film presentation, hiking trail and a picnic area are also available. To get there, drive north on Highway 101 about 15 miles to the Warrenton area and then follow the signs to Fort Clatsop National Memorial. Come learn more about America's most famous explorers! Location. 45° 59.068′ N, 123° 55.916′ W. Marker is in Seaside, Oregon, in Clatsop County. 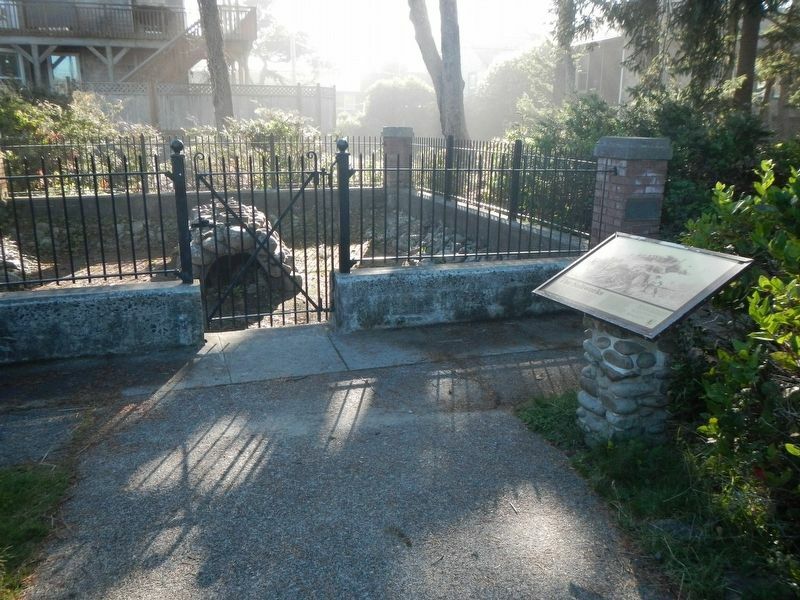 Marker can be reached from Lewis and Clark Way near Beach Drive, on the left when traveling west. Touch for map. 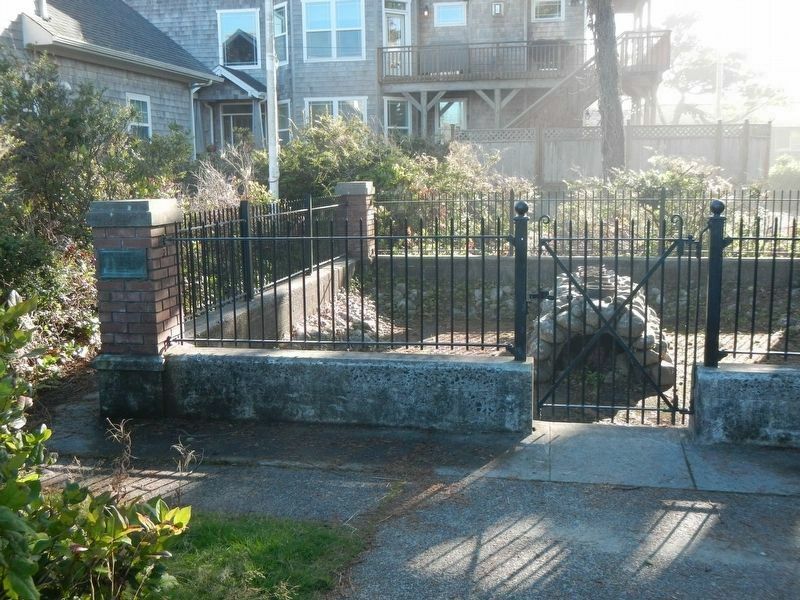 Marker is at or near this postal address: 30 Lewis and Clark Way, Seaside OR 97138, United States of America. Touch for directions. Other nearby markers. At least 8 other markers are within 6 miles of this marker, measured as the crow flies. 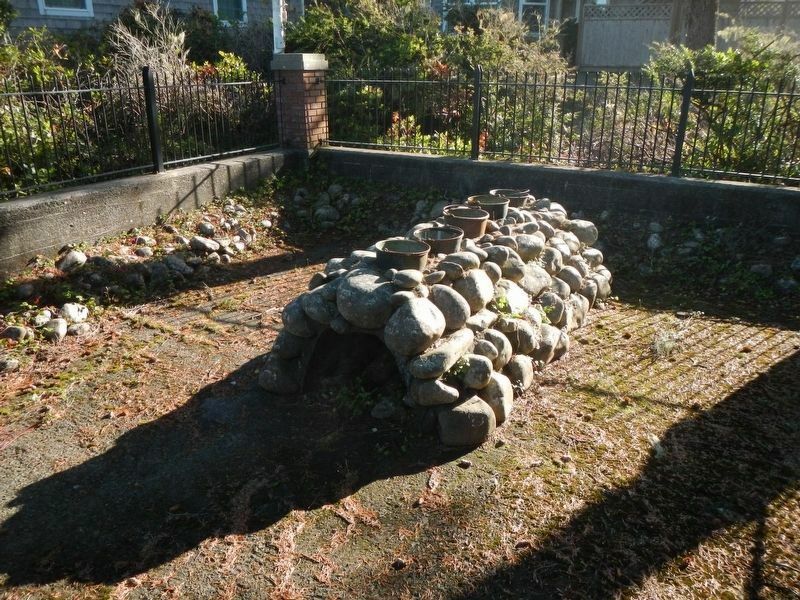 Site of the Lewis and Clark Salt Camp (here, next to this marker); Lewis & Clark Salt Cairn (here, next to this marker); A Convenient Place for Making Salt (approx. ¼ mile away); Gilbert Inn - 1892 (approx. 0.6 miles away); Tsunami (approx. 0.6 miles away); Ekkoli: A Whale of a Tale (approx. 4.3 miles away); Ecola (approx. 5.1 miles away); "Cannon Beach" (approx. 5.1 miles away). Touch for a list and map of all markers in Seaside. More about this marker. This marker is located at Lewis and Clark Salt Cairn National Monument. More. 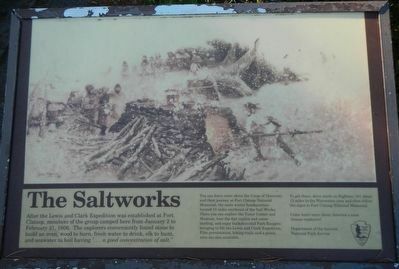 Search the internet for The Saltworks. Credits. This page was last revised on February 6, 2018. This page originally submitted on February 2, 2018, by Barry Swackhamer of San Jose, California. This page has been viewed 76 times since then and 3 times this year. Photos: 1, 2, 3, 4. submitted on February 2, 2018, by Barry Swackhamer of San Jose, California.